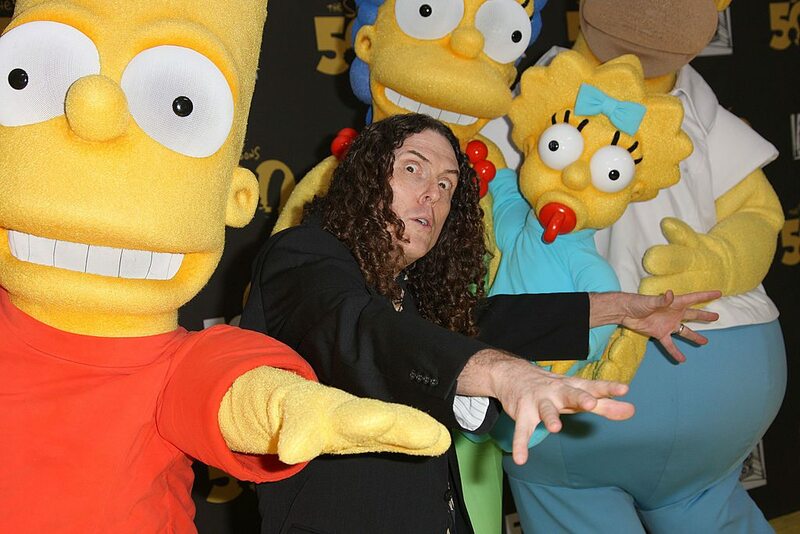 "Weird Al" Yankovic has crafted an amazing career out of making fun of other people. His inspired musical parodies are not only hugely popular, they are also often beloved by the very artists he is lampooning. You can almost tell just how popular a track has become, by whether or not he takes it and transforms it into something laugh out loud funny. He's been making us laugh to the beat of our favorite songs for more than 30 years, and his multiple musical awards, and a net worth of $16 million are a clear indication of just how good he is at what he does. Most of us were taught not to make fun of those around us, but "Weird Al" Yankovic has built an amazing career doing just that. With his latest track, "Tacky", a parody of Pharrell's "Happy", already burning up the charts and going viral, here's a look at how a "nerdy" kid from a small town in California, became one of the most consistently popular music arts of our time. Weird Al Yankovic, also known as Alfred Matthew Yankovic, was born in Downey, California on October 23, 1959. 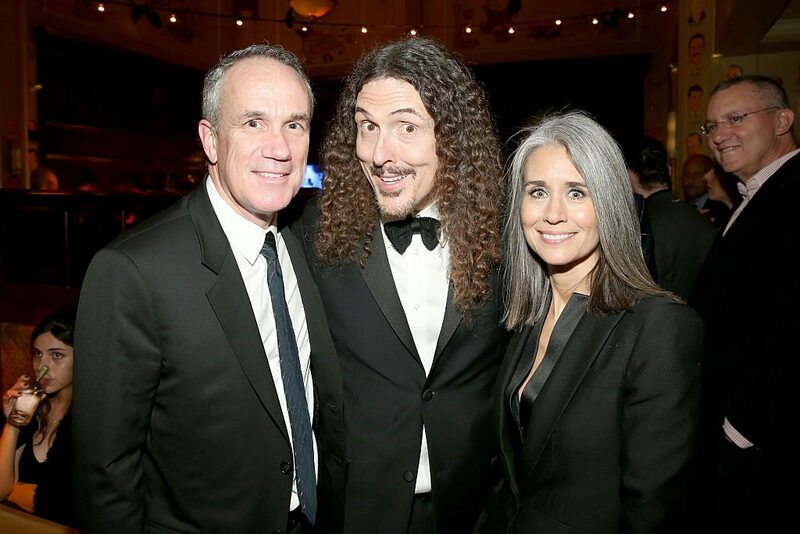 His father always said to make a living doing whatever made him happy, so when he discovered a love of music when he was in elementary school, "Weird Al" knew what he wanted to do. He began playing accordion when he was six, and took lessons at school for three years. He was very smart for his age and started kindergarten when he was four, instead of five. He then skipped the second grade as well. He found solace in music, since he was often too small to participate in sports and too young to really make close friendships with his classmates. He continued playing accordion and practicing on his own after his school lessons ended. He became fascinated with playing rock music on his accordion and began performing the songs of Elton John. He began writing song parodies and original material for the accordion when he was in his late teens. He got his first break when Dr. Demento came to speak at a school assembly when he was 16. "Weird Al" gave the popular radio personality a tape of some of his parodies and original tunes. Dr. Demento liked them enough to play one of them, "Belvedere Cruisin'", on his show. The show of support from Dr. Demento, ushered him into a more high-profile world, though it would be a few more years before he would take proper advantage of it. He played in coffee shops in his area, often leaving audiences – who were accustomed to swoony ballads played on guitars – completely bewildered by his accordion-accompanied parodies. He entered California Polytechnic State University – San Luis Obispo, where he majored in architecture. However, he always had pursuing a career in music in the back of his mind. He began working at the college radio station, while continuing to record tracks of his own. One of his tracks, "My Bologna", a parody of The Knack's' "My Sharona", turned out to be a major turning point. He gave a copy of the track to the lead singer of The Knack when they performed at his college. Turns out, the lead singer dug the parody, and subsequently introduced him to Rupert Perry at Capitol Records. The track was released as a single and "Weird Al" was offered a six-month recording contract. Dr. Demento invited him back to his radio show to record a live version of his song, "Another One Rides the Bus", a parody version of "Another One Bites the Dust" by Queen. While "Weird Al" was standing in the hallway waiting to perform, another musician, drummer Jon "Bermuda" Schwartz, asked if he might want a drummer for his gig. That conversation led to "Bermuda" Schwartz drumming on "Weird Al's" accordion during his radio spot. "Another One Rides the Bus" turned into a hit, and suddenly the pair was being asked to perform on talk shows and comedy tours. "Weird Al" formed an official band, signed with Scotti Brothers Records, and released his first album in 1982. The album, called "Weird Al Yankovic", featured the track "Ricky". The music video for the song became an MTV favorite. He followed that up with the album, "Weird Al Yankovic in 3-D", two years later. Featuring the now classic parody "Eat It" (to Michael Jackson's "Beat It"), the album made Yankovic a star. "Eat It" reached #12 on the Hot 100 charts. Since then, he has released hundreds of songs, and is known for almost perfectly matching the inflection and style of all of the artists he parodies. Rather than actually making fun of the artists like many other parodists, he instead takes each artist's songs, and re-records them with his own band, usually changing the lyrics to some topic that is totally at odds with the public image of the original artist. Often his lyrics roast something going on in current popular culture or they poke fun at our own attitudes. It is this light-hearted quality that has made it possible for him to gain the rights to so many tracks. Having your song parodied by "Weird Al" is viewed by many as a sign that you've "arrived" in the music world. He always asks permission personally, and very few artists have ever said no. Here's a quick list of some of "Weird Al's" more popular tracks. – Parody of Billy Ray Cyrus' "Achy Breaky Heart". – Parody of Robert Palmers "Addicted to Love"
– Parody of Coolio's "Gangsta's Paradise"
– Parody of Taylor Hicks "Do I Make You Proud"
– Parody of Michael Jackson's "Bad"
– Parody of John Mellencamp's "Jack and Diane"
– Parody of Joan Jett and the Blackhearts' "I Love Rock 'n' Roll"
– Parody of Tiffany's cover of Tommy James and the Shondells' "I Think We're Alone Now". – Parody of Los Lobos' "La Bamba"
– Parody of Madonna's "Like a Virgin"
– Parody of "Stand" by R.E.M. – Parody of Chamillionaire's "Ridin'"
He is scheduled to release his 15th studio album in mid-July 2014. The album, called "Mandatory Fun", features the aforementioned "Happy" parody – "Tacky". There's a good chance the song will do pretty well. Doing well is normal for "Weird Al". He's sold more comedy albums than any other comedic artist ever – 12 million to be exact. He's performed over 1,000 live shows over the years, and he's recorded over 150 parody tracks, separate from his many original recordings. He's been nominated for a dizzying number of awards, and almost all of his albums have achieved Gold and/or Platinum status. (Four Gold and six Platinum to be exact.) He's been nominated for eleven Grammy Awards and has won three. He's had two #1 albums. He writes all his own lyrics and shows no signs of slowing down. As long as there are pop songs and pop culture to be lampooned – "Weird Al" will be there to do it. The nerdy kid with the accordion who was too small to play with everyone else, is now getting the last laugh in a big, big way.